Retrospect, the development of the sculpture techniques of Karel can be seen as one continuous search for new possibilities. 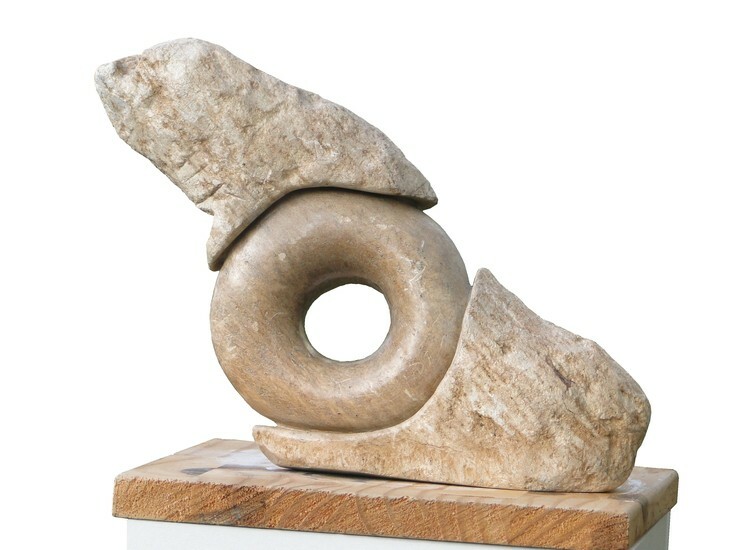 In this little sculpture a ring is trapped between the 2 rough halves of the stone. Because everything is so clearly separated there is an illusion that the object is composed of several parts.